As a professional wedding celebrant based in Paris, Aude thrives on writing meaningful ceremonies that capture your day and love story and will make your heart completely and utterly melt. 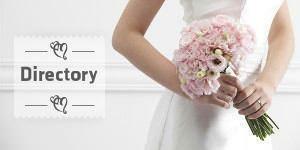 A&C, wedding planning company based out in Paris for your destination and multicultural weddings. Your tailor made ceremony in the most romantic city. Canadian wedding and portrait photographer in Paris, France. Capturing love, life and laughter. Pierre is a Paris Photographer covering events such as weddings, elopements, vow renewals or proposals. He is also offering engagement, honeymoon or pre-wedding photo sessions in Paris. His style is a mix of editorial and photojournalism. Officiant for wedding, elopement or vow renewal ceremonies based in Paris, France and also performing ceremonies worldwide. We are a 2 artist team (Elise & Damien) which aim to combine our love for cinema & souvenir maker role. Over the years we have been involved in over 250 event as intimate filmaker and more recently as production company including larger staff, Crane, live feed & aerial shooting.